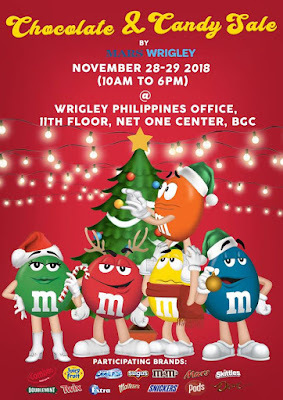 Wrigley and Mars Chocolate & Candy Sale is back! 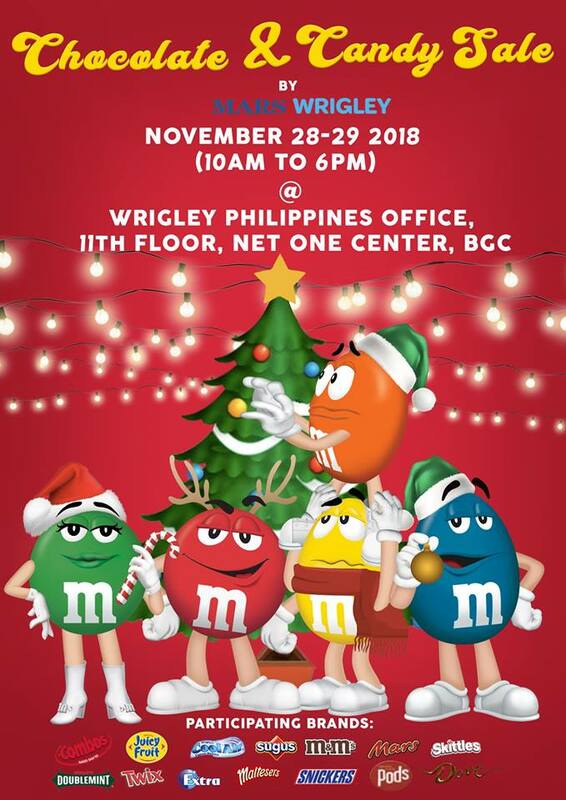 Check it out on November 28 to November 29, 2018 at Net One Center in BGC. They’re bringing in more variants and special Christmas packages for the holidays! Get great discounts on your favorite Chocolate & Candy brands like M&M, Snickers, Dove, Skittles, Juicy Fruit, Doublemint, Combos, Mars, Sugus, Twix, and more!